The Children’s Library serves children from infant through fifth grade and their families. Individuals with special needs are welcome here, too. Want recommendations for a good book or series? Let us know what’s on your mind—we’re happy to help! Join us for a wide variety of programs for children. These story time series are held in the winter, spring, and fall. Bouncing Babies Pre-walking infants under 13 months, with adult. Wonderful Walkers Walking infants under 24 months, with adult. Parent/Child Story Time 2 & 3 year olds, with adult. Siblings welcome. Story Time for 2-3 Year Olds* Child must be at least 2 years old at start of series, with adult. Siblings welcome. Story Time for 3-6 Year Olds* Child must be at least 3 years old at start of series. 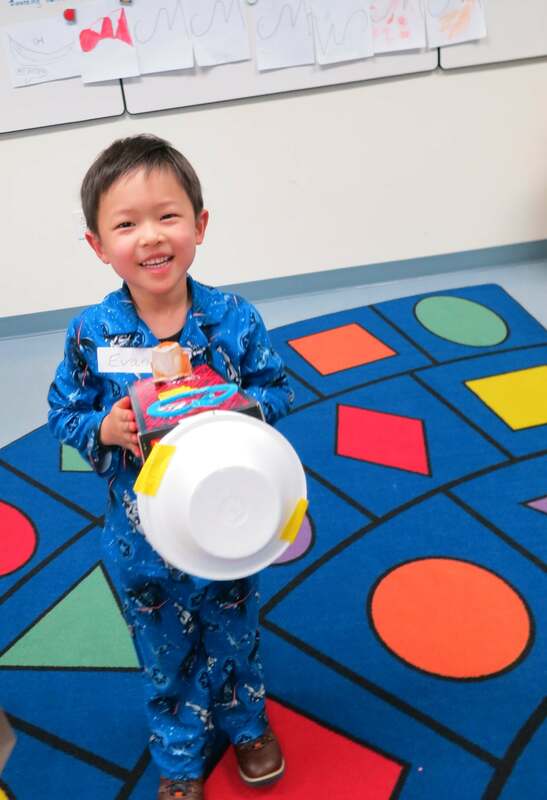 PJ Story Time * For families with children ages 2-6. Library Friends Play Time for Ages 12-36 Months Open play time for ages 12-36 months old, with adult. Library Friends Play Time for 3-6 Year Olds Open play time for children ages 3-6 years old, with adult. Siblings welcome. We also loan activities and tech devices. Every Child Ready to Read @ Your Library recommends these five proven steps to help raise a reader. Talking with children helps them learn about language by listening to parents talk and joining in the conversation. Singing slows down language so children can hear the different sounds in words. Reading together develops vocabulary and comprehension and motivates children to want to learn to read. Writing with children helps them understand that printed letters stand for spoken words. ﻿Playing helps children learn language and literacy skills as they put thoughts into words and talk about what they are doing. 1,000 Books Before Kindergarten Foundation recommends reading, even re-reading, any book to your child, with the goal of reading 1,000 books before Kindergarten. Pick up a packet at the Children’s Desk.